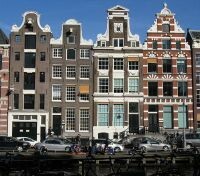 Cruise the canals of Amsterdam on a gentle boat ride. 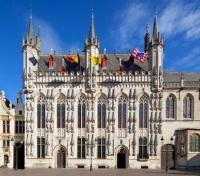 With private guide, discover the charming medieval town of Bruges. 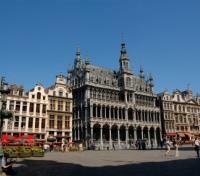 Explore Grand Place and see the Royal Palace in Brussels with private guide. Featuring expertly selected premium hotels. From extravagant palaces to elaborate canals, and even medieval charm, explore the Netherlands and Belgium on a combined discovery. In Amsterdam, discover the city on a private guided walking tour, then take to the city's network of canals on a scenic boat cruise for a different perspective of the capital. Venture outward into the country to discover other gems of Holland including Rotterdam, the pottery city of Delft (of Blue Pottery fame), and The Hague, house of the Dutch parliament. In Belgium, first explore historic Antwerp, home of 17th century master painter Peter Paul Rubens, then see the magnificent Grand Place in the nation's capital, Brussels, as you tour the city and this famous square with your own private guide. Take a day trip with private transportation and guide to the quaint town of Bruges, renowned for its romantic medieval charm, forever encapsulated in the Hollywood film "In Bruges". 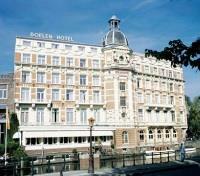 Amsterdam’s oldest and most celebrated hotel, the NH Doelen rests on the banks of the Amstel River in the heart of the city’s historic center. The NH Doelen in Amsterdam is centrally located between both Dam and Rembrandt Square, putting you within walking distance of countless museums, shopping streets, cultural areas and tourist attractions. All rooms feature classical décor, large windows, plenty of natural light and a wide range of amenities. With extra-comfortable beds, you’re guaranteed to get a good night’s sleep. Start your day with a delicious breakfast while taking in the stunning canal views at the NH Amsterdam Doelen hotel restaurant before heading out to explore the city. 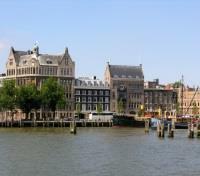 Discover the Grand Holland experience today on a small group tour to Rotterdam, Delft, and The Hague. Departing with a guide and no more than 8 participants, you’ll first drive to Rotterdam, the second-largest city of The Netherlands. Famed for its commercial harbor and lively culture amongst a beautiful riverside setting, Rotterdam is Europe's largest port and was recognized as the European Capital of Culture in 2001. Board a 75 minute Spido boat to glide by the bustling harbor and observe Rotterdam's imposing skyline and cutting-edge architecture. Continue to the picturesque city of Delft, known as the Princes’ city, the birthplace of famed Renaissance artist Johannes Vermeer. Experience the city's rich culture and awe-inspiring historical monuments; discover the Old Church - one of the few remaining gothic structures in the city, the New Church, and town hall - a palatial city structure that survived the bombing of Rotterdam in 1940. Continue your cultural exploration with a visit to De Delftse Pauw, a factory specializing in handmade Delft Blue pottery, the most coveted porcelain since the 17th century. Journey onward to take in the sights of The Hague, the third largest city in the country and home to the Dutch royal family. A hub for foreign embassies, the city houses a number of royal palaces and museums, as well as the Dutch Parliament - the Binnenhof. Return to Amsterdam after a full day of exploring. Take a train from Amsterdam to Antwerp. The train ride takes approximately 2 hours. For your added comfort, you will have an English-speaking guide assistance waiting for you at the train station with a sign and your name on it. 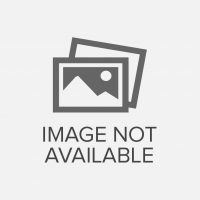 Your representative will help you to co-ordinate meeting up with your private driver and accompany you to your accommodation. A knowledgeable guide will meet you at your hotel and embark on an enriching stroll of the city. Spend some time discovering Belgium’s second largest city of Antwerp, home to revered 17th-century artist Rubens and some of his artistic masterpieces. A walk through the city is the perfect way to get to know Antwerp. Follow your guide through Antwerp’s historic streets and discover beautiful landmarks such as ‘Rubens House’ and ‘The Cathedral of Our Lady.' The tour concludes at your hotel. The Hilton Antwerp Old Town hotel is located on Antwerp's most famous and historic town square in the heart of Antwerp city center and within walking distance of all the main attractions. The hotel building formerly housed the Grand Bazar Shopping mall and the original 1864 facade still forms part of the hotel. The four-star hotel offers a mix of old world charm and modern luxury, combining traditional sophistication with contemporary comfort and convenience. Guest rooms and suites at the Hilton Antwerp Old Town feature flat-screen televisions, comfortable work stations, and the chain's signature Serenity beds. 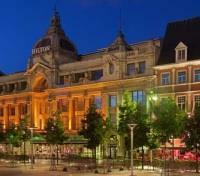 Guests can enjoy High Tea in the hotel lobby or a gourmet meal in the hotel's Brasserie Flo Antwerp Restaurant and Bar. Meet your private driver and transportation for a train station transfer. 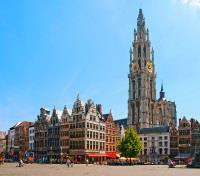 Enjoy a transfer by train from Antwerp to Brussels on an intercity train. Travel time is approximately 1 hour. 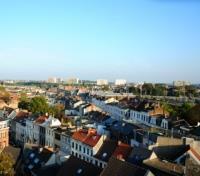 Enjoy a half day private sightseeing tour of Brussels with your English speaking guide. Begin your tour with a short stroll in the old city centre. 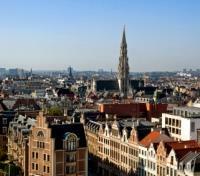 You will get to see the world-famous Grand Place with its unique city hall and splendid guild houses before continuing by vehicle to the magnificent St. Michael’s Cathedral, the Congress Column, the Heizel district with the renowned Atomium, the remarkable Chinese pavilion, and the Japanese Tower. After the impressive Court of Justice and the elegant Louiza Square, you will drive to the stately Place Royale, the Royal Palace, and the old Palace of the Nations, which is now the home of Parliament. 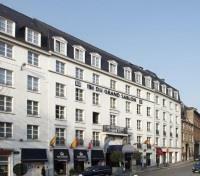 The NH Collection Brussels Grand Sablon is on Brussels’ most beautiful square, famous for its antique shops and chocolatiers, and only a short walk to the luxury boutiques along Avenue Louise. The hotel is also conveniently located near the Grand Palace, the centerpiece of the city, and the Royal Museums of Fine Arts. Rooms and suites offer modern comforts and match the sophistication and elegance of the antique shops on Sablon square. The Il Cortile restaurant showcases fine Italian cuisine, where only the freshest ingredients are used. For after-dinner drinks, the lobby bar offers an array of Belgian beers. Meet your driver for a private half day tour of Bruges, the most romantic city in Belgium with its medieval bridges and meandering canals. Discover the 'Venice of the North' with your own English speaking guide as you walk through the city. Your guide will introduce you to the main sights and give you the history of the town as you stroll by the artistic wealth of the innumerable monuments, historical buildings, and churches. Stand in admiration of the marvelous market square, the city hall, the belfry and its halls, the numerous canals, and the typical God houses – late medieval-looking houses bearing a name and a year on the outside wall – which can be seen everywhere in the city. The city center is car free, allowing for a pleasant, traffic-free walking tour. Return to Brussels. Relax on your private airport transfer to Brussels Airport with private vehicle and English speaking driver.